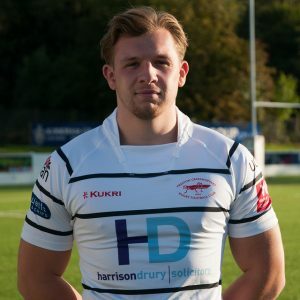 Gainsborough Flooring is very privileged to sponsor Jack Edwards, Flanker for Preston Grasshoppers Rugby Club 1stXV. A complete enthusiast, Jack has played rugby since his days at Kirkham Grammar School and like his father Ted, has subsequently been committed to Preston Grasshoppers. The Gainsborough Flooring team is familiar with Jack through its close association with Preston Grasshoppers which dates back to the 1970s, so he was the ideal player to sponsor. The club has experienced mixed success to date this season but had a fantastic win over local rivals Fylde earlier this month. The photo of Jack is by Mike Craig. You can see more of Mike Craig’s cracking photos here.